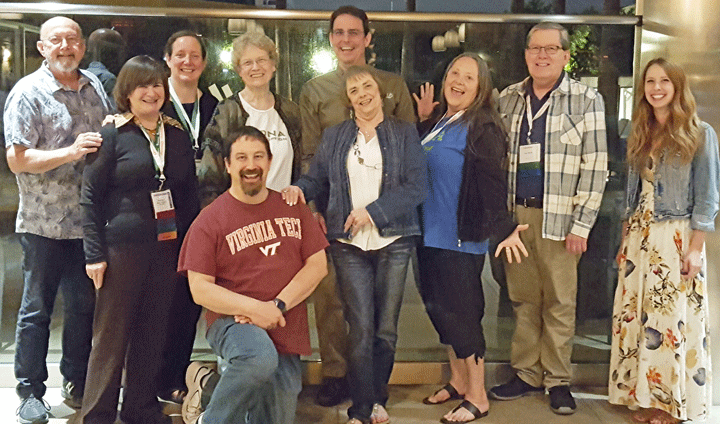 The SCGS Jamboree is perhaps my favorite genealogy conference because there are so many DNA talks. 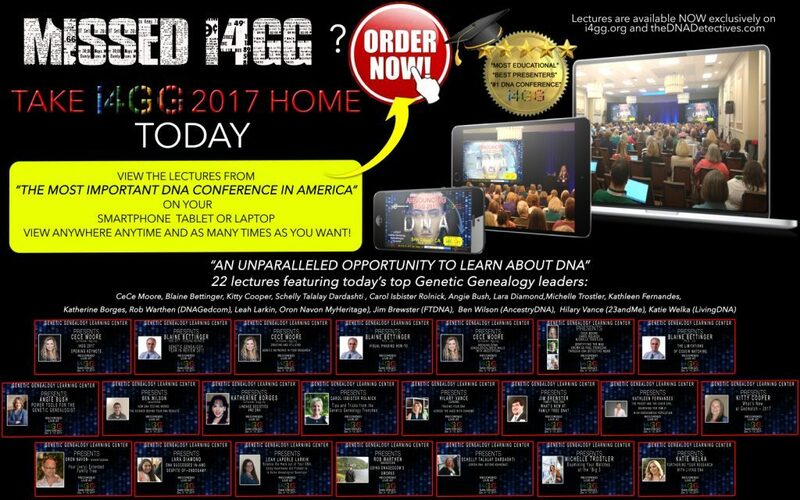 Of course the i4GG conference, which is coming back to San Diego on December 8-9, is all DNA so I love that one even more. 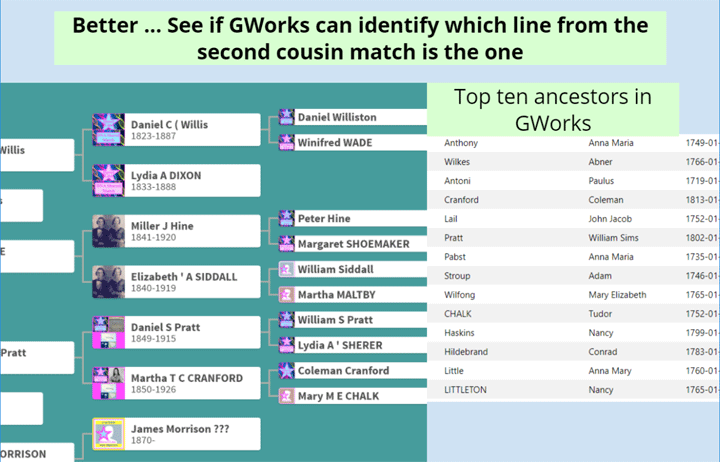 The idea is that you can usually find the ancestral couple to build down from on a second cousin match’s tree by using GWorks alone. Look at the top ancestors in the GWorks compare all trees to see if any of them are on the second cousin’s pedigree tree. In the image above the tree is on the left and the top GWorks matches on the right. Do you see any names in both places? Click the image to go to the slide, then click the forward > to see the answer highlighted. 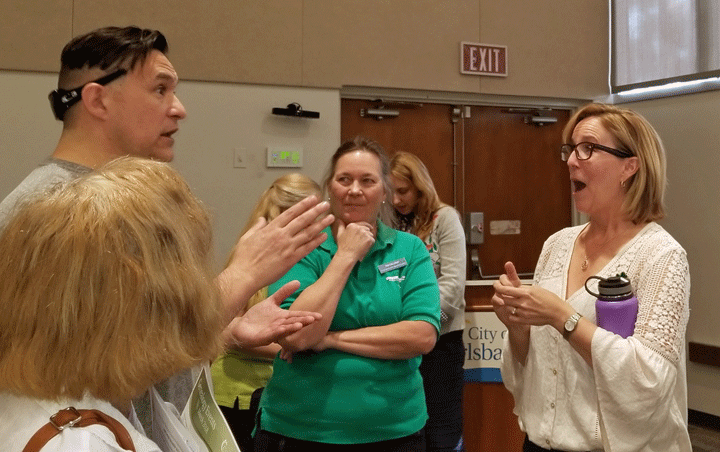 All the conference videos and audios are available for sale (Click here). There were talks I did not get to in time to get a seat, and others that conflicted with each other, so I will probably buy a few myself. 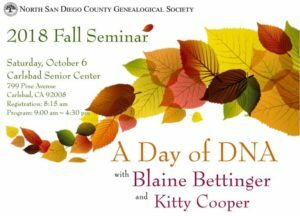 One of the things I have been thinking about a lot recently is how to get my younger family members interested in family history and perhaps even DNA.